Selling a 2004 Centurion T5 Comp that’s in great condition, runs and performs excellent! This boat is great for ski and wakeboarding and with a length of 20’ it can easily fit in a standard garage. When not in use this boat has always been garaged and well maintained. 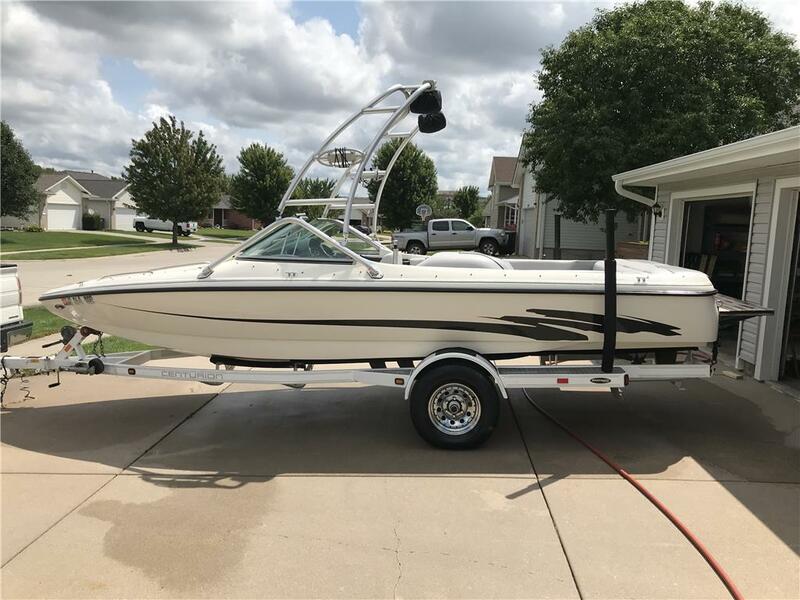 With room for 8 this boat is perfect for someone looking to get into and inboard boat! NADA has this boat valued at around $21,000 but you can get this great family boat for a great deal at $14,000. Offers are definitely welcomed. I am interested in your 2004 Centurion T5 Comp and would like more information. Please let me know. Thank you!